While most business meetings hold the promise of excellent productivity, many are unsuccessful. People go away from them uninspired and drained rather than enthused to win the day. If you’re in charge of creating the meetings for your company, you need to know how to offer an environment that aids focus, creativity, and enthusiasm. The following tips show you how. Show you are in charge of the meeting by dominating the room. Stand to face your audience. Ideally, attendees will have their backs to a wall and not a gaping space behind them. Alternatively, arrange seats in a circle, but reserve the position with the door in front of it for yourself. This tactic will help attendants recognise you as the meeting leader and allow you to do your job. Dreary meeting rooms encourage attendees to daydream. No one enjoys sitting in a stuffy room for hours looking at the dull scenery. Raise the energy by flooding the space with natural light. Clear windows and ensure they are clean. If you have to make do with artificial lights, swap regular bulbs for daylight varieties for the duration of the meeting. People will be lively, contribute, and listen well. Also, check the room’s airy and open windows where possible. Clutter, including too many chairs and tables, reduces concentration and creates an atmosphere of confusion. Remove furniture that isn’t required for the meeting. Or stack it to one side of the room behind a screen, so it’s out of view while you talk. Studies reveal doing so can increase productivity by 15%. Ideal places to put pot plants include next to columns, on windowsills, and to the side of where you stand to speak. Likewise, help people associate the meeting room with elements of nature using water features and landscape-inspired artwork. If you can choose the colour of the room, opt for white walls and place bright cushions on the seats. White is refreshing while the cushion colours add energy. The way you organise and decorate a business meeting room can improve or hinder productivity. Guarantee the space used inspires clarity and vitality to keep people focused and motivate them. Also, take charge of the room and help attendees associate it with nature to aid success. 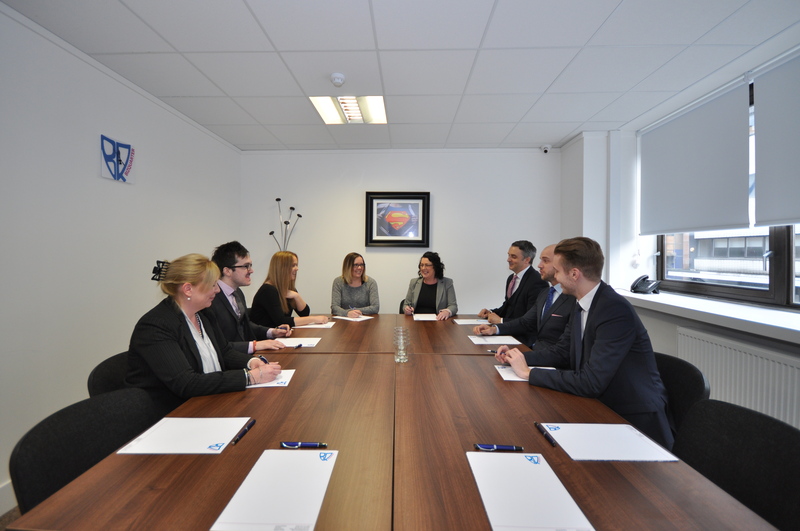 Bizquarter is situated in the heart of Glasgow City Centre and provides modern, spacious and attractive office space to meet the needs of our clients.Our mission is to ensure a quality user experience from booking to using our offices, and aim to attract your repeat business.